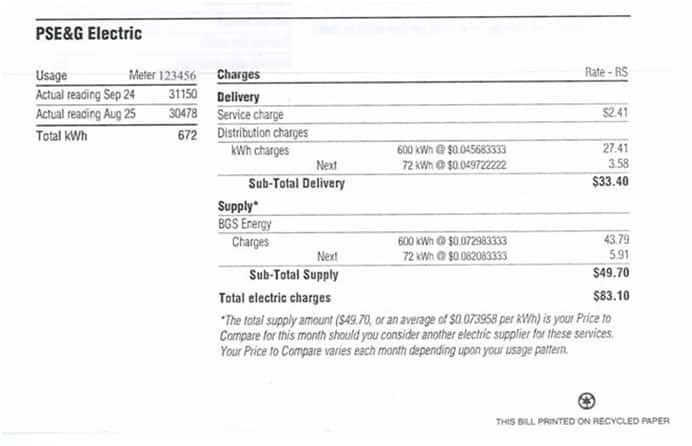 The PSEG electric bill is divided into two sections: Delivery and Supply. When you choose a lower electric rate at new.electricrate.com, the rate will replace all of the charges in the Supply section. The delivery charges will remain the same.